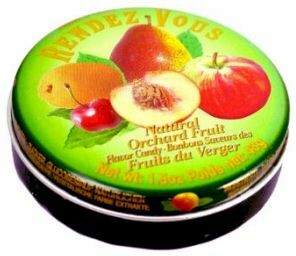 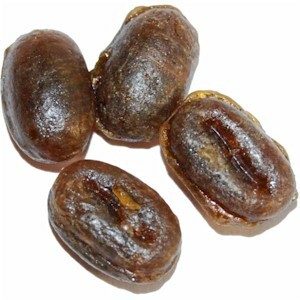 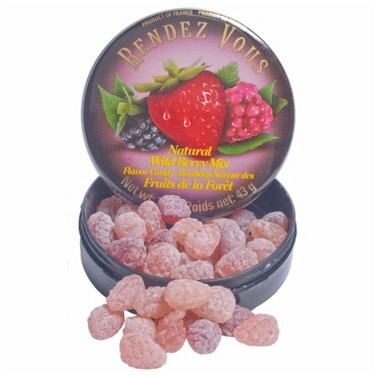 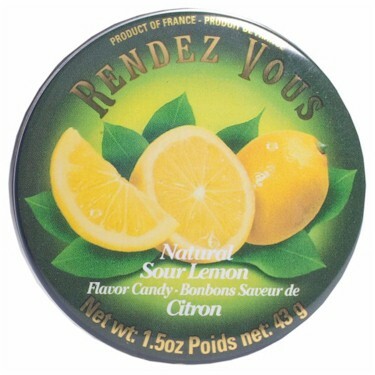 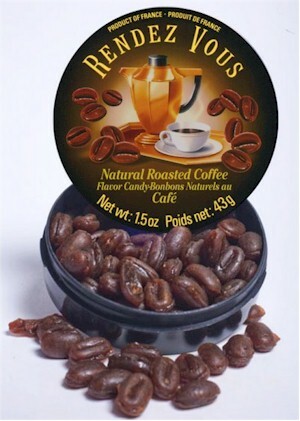 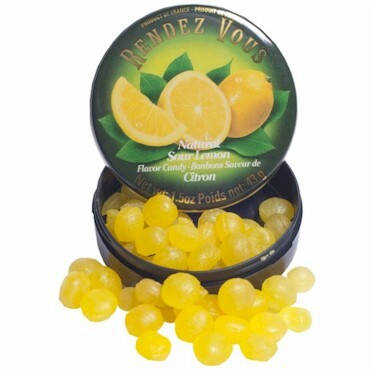 Rendez Vous® All Natural Hard Candies are imported from France. 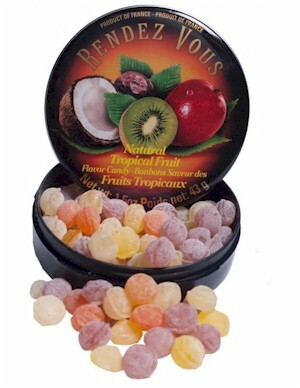 Each individual candy is uniquely shaped to represent its flavor variety and packed into an elegant black tin. 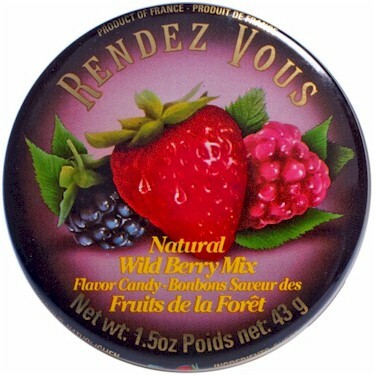 Ingredients: sugar, glucose syrup, natural flavorings, citric acid, natural colorings. 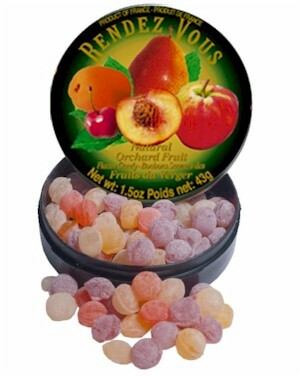 Natural Orchard Fruit flavors include Apple, Cherry, Peach, Pear, and Apricot. 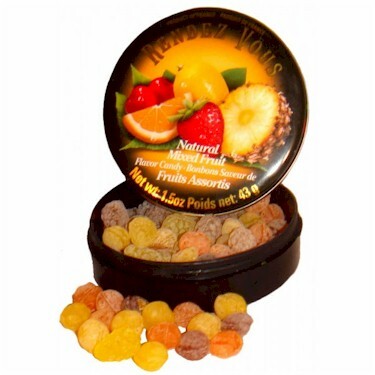 A delightful range of mixed fruit candies to enjoy all day long. 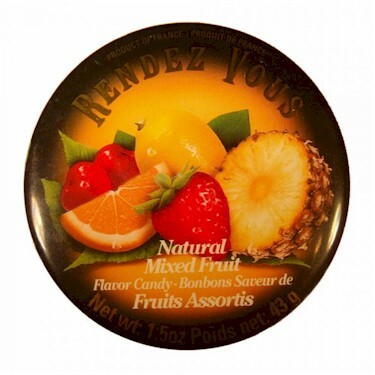 Ingredients: Natural flavor (strawberry, pineapple, black currant, orange, lemon, cherry), lemon juice. 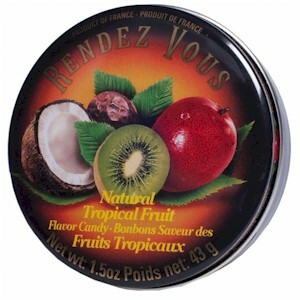 Close your eyes and try the litchi, kiwi, passion and mango fruits.You will find yourself transported to under the tropics. 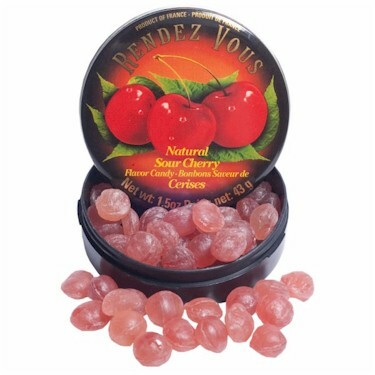 Cherry candy in a prestigious tin for a soft touch in every season. 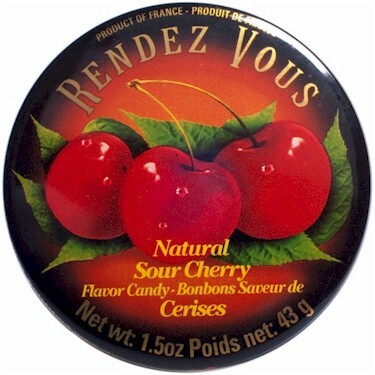 Ingredients: Natural cherry flavor, lemon juice.